Time is one of the most important variables which affects the success rate of infertility treatment, but unfortunately this is something which most infertile couples are not aware of . This is partly because time is something which we all take for granted . It doesn't figure into our calculations , until it silently creeps up and gives us a wake-up call - for example , when the alarm on your biological clock goes off when you turn 35 and you realize that you aren't any closer to achieving your goal of having a baby. Time is a pervasive, ubiquitous silent spectator, which is why we fail to factor it in. Infertile patients often don't worry about it , because in our heart of hearts , all of us think of ourselves as being 25 forever ! Older women easily get lulled into a false sense of security , and often suffer from the misconception that if they have regular cycles , this means that their fertility is fine. This can be an expensive delusion ! Time has two important components which affect decision-making , and we need to look both backwards as well as forwards when thinking about time. baby ? If you haven't been trying for too long , then you have lots more opportunities , and you can continue to explore your options. However, if you've tried for a long time and nothing has worked, you need to start becoming more aggressive and move on. Looking forward means you need to think about how much time you have left. Thus , if you're 25, you have lots of options , but as you get older , your options start getting constrained ! Sadly, many gynecologists also fail to factor in this critical variable, partly because they help 40 year old women to give birth all the time. What they fail to realise is that the biological behaviour of a 40 year old infertile women is completely different from a 40 year old who has got pregnant in her bedroom. Remember that it's not just the chronologic time which we infertility specialists worry about - it's your biological time. 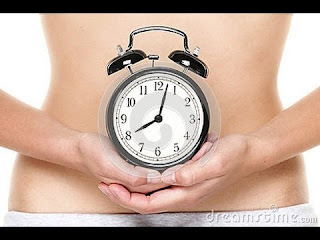 More specifically, it's your ovarian age - the age of your eggs .Of course, this is not something which women are aware of, and this is why women need to be track how fast their biological clock is ticking by checking their AMH levels as well as their antral follicle count , so that they can make well informed decisions . You never want to have regrets later on that you didn't give baby-making your best shot because of your ignorance.